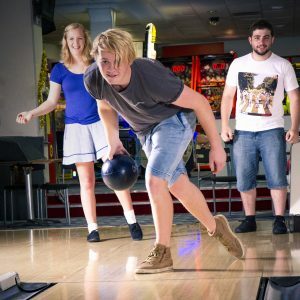 Tenpin Tauranga is more than just the Bay of Plenty’s top Tenpin Bowling venue. Aside from our 20 lane bowling capacity we have a full range of entertainment options, including Gaming Lounge, Pool Tables and Video Game Arcade. We even have our own Licensed Bar & Pizzeria on site! 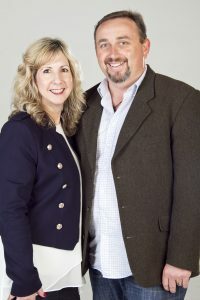 A locally owned and operated Tauranga business run by husband and wife team Mark and Rebecca. Bowling has been the family business for over 10 years now, and you’ll often catch the kids helping out around the place or behind the counter. Tenpin Tauranga has something for everyone and is a great place for parties & functions or team building events. We offer a fun environment loved by everyone, young and old. Call us today to book lanes for your next event, you won’t regret it! You’ll find us at 135 Thirteenth Avenue, Tauranga. We’re open 7 days a week. Tenpin Tauranga © 2016 | Maintained by Mantis Digital.